They're everywhere - but what are they? YOU SEE THEM in stores, on billborads, on TV, in newspapers, on packages - well, everywhere. They're Quick Response (QR) Codes - a graphical representation of information. You can use your cell phone to read them and link directly to the source of information they represent - perhaps a website, an e-mail address, a phone number, or other bits of data. Developed in Japan in 1994 to help track inventory items, QR Codes have blossomed into a major source of shared information - especially in the retail world. MAJOR North American Marketers, including Calvin Klein, Chevrolet, Allure Magazine, Verizon Wireless, Heineken, Entertainment Weekly, The Weather Channel, Starbucks, Nike and Warner Home Video, all have had campaigns based around QR Codes. As camera-phones increasingly replace older mobile phones, the use of QR Codes will continue to expand rapidly. WHAT MAKES a QR Code different from other barcodes? Barcodes are 1 dimensional codes that can contain only a few characters. For example, the most common type of code - the UPC Code - found on most retail products, expecially in grocery stores, contains only 12 digits that represent a particualr product. A QR Code, on the other hand, is 2 dimensional and can contain significantly more information. It's relatively easy, therefore, to encode URLs (web addresses, text messages, phone numbers, street addresses etc.) in a QR Code. TO READ A QR Code, you use a SmartPhone or tablet computer and a free downloadable reader app. There are a number of different apps available for iPhone and iPads as well as Android devices that will all read QR Codes quite well. Simply load the app, point the camera on the device at the QR Code and the rest is automatic. In the US, the adoption of QR Codes has been slower than in Japan and Europe, mainly due to immature technology for mobile communication. Compared to Japan and Europe, there are a smaller number of camera phones as a percentage of all phones. Also, QR Reader software must be obtained from third-party vendors ('apps') - rather than coming installed on mobile phones. SHARING INFORMATION - Your imagination is the only limit when it comes to sharing information using QR Codes. Since you can link directly to any web address, you can share videos on YouTube, specially built landing pages on your web site, blog posts, news items or just about anything else you can find on the web. Your customers can link directly to detailed product information, new recipes, instructions, coupons or special offers, recommendations for complementary products and much, much more. CUSTOMER FEEDBACK - Invite your customers to give immediate feedback on your products or services by linking them directly to a short feedback form. Ask two or three pertinent questions about their experience and quickly learn how you can improve your offerings. Plus you can change the questions frequently to target specific areas of your business. You can easily aggregate the respose to analyze trends or spot problems areas quickly. BUILD COMMUNITY - Encourage your customers to sign-up for newsletters, email notifications and special offers by linking them directly to signup forms. Capture their email addresses and interest areas to help segment your digital notifications. Even better, add your customers to your Facebook communitiy. Use a service like Likify to create a QR code that quickly links to a LIKE button for your Facebook page. CALLS TO ACTION - Once you've begun to build a community or network of customers, you can easily provide special deals, coupons or other special offers by simply changing your landing pages. 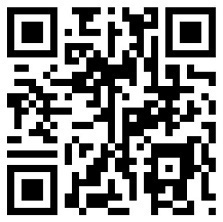 Remember, you can use the QR code to point to an address - but you can change the page content at any time. So the code printed on your bag can bring up a different offer daily, weekly or monthly - whatever frequency you decide.